You can have eight background colors, and sixteen foreground colors. But why is that? Remember that Linux is a PC operating system, so you have to go back to the early days of the IBM PC. Although the rules are the same for any Unix terminal. The origins go back to CGA, the Color/Graphics Adapter from the earlier PC-compatible computers. This was a step up from the plain monochrome displays; as the name implies, monochrome could only display black or white. CGA could display a limited range of colors. That means 0100 gives "red" and 1100 (with intensifier bit set) results in "bright red." 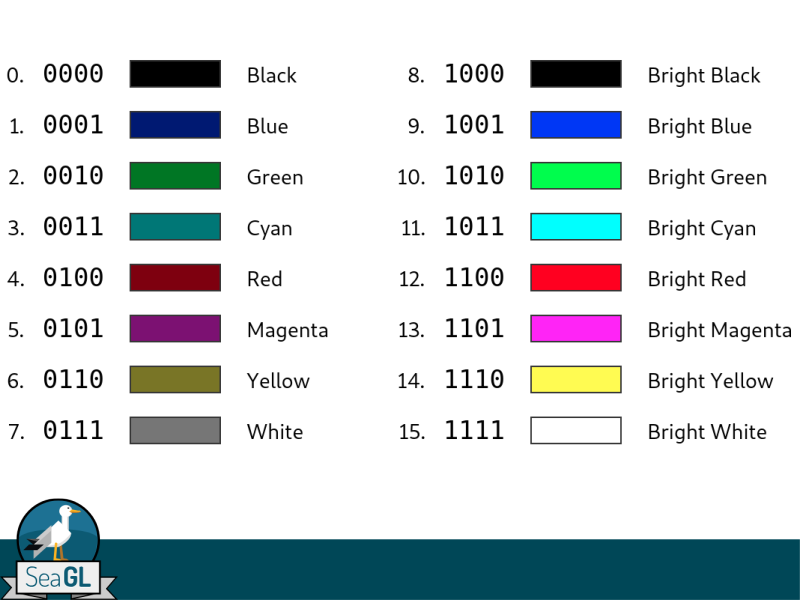 Also, 0010 is "green" and 1010 is "bright green." And 0000 is "black," but 1000 is "bright black." Oh wait, there's a problem. 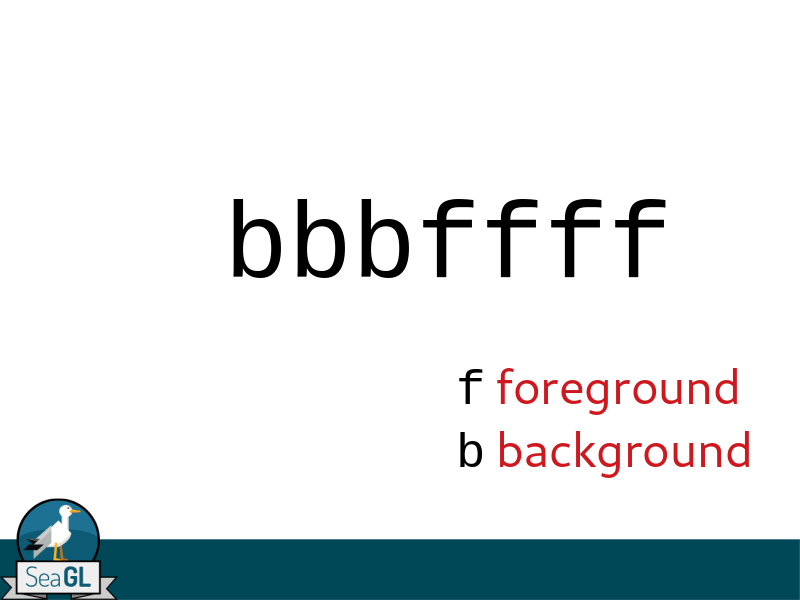 "Black" and "bright black" are the same color, because there's no RGB value to intensify. But we can solve that! 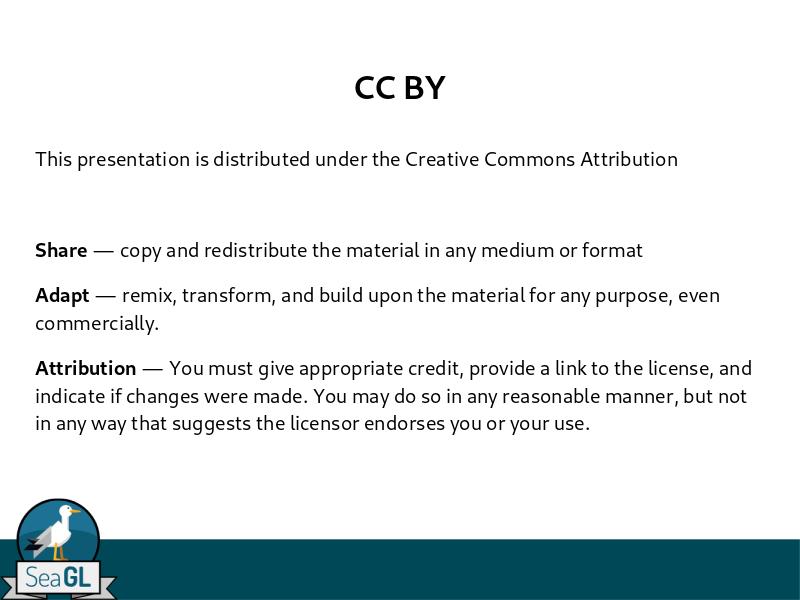 CGA actually implemented a modified iRGB definition, using two intermediate values, at about one-third and two-thirds intensity. Most "normal" mode (0–7) colors used values at the two-thirds intensity. Translating from "normal" mode to "bright" mode, convert zero values to the one-third intensity, and two-thirds values to full intensity. With that, you can represent all the colors in the rainbow: red, orange, yellow, blue, indigo, and violet. You can sort of fake the blue, indigo, and violet with the different "blue" shades. Oops, we don't have orange! But we can fix that by assigning 0110 yellow a one-third green value that turned the color into orange, although most people saw it as brown. 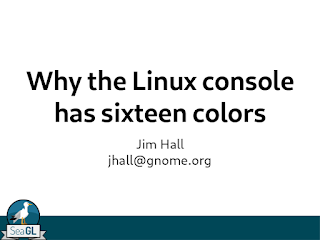 And that's how the Linux console got sixteen text colors! That's also why you'll often see "brown" labeled "yellow" in some references, because it started out as plain "yellow" before the intensifier bit. 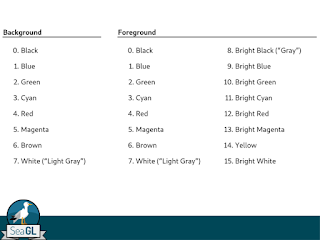 Similarly, you may also see "gray" represented as "bright black," because "gray" is really "black" with the intensifier bit set. That's a full byte! And that's why the Linux console has only sixteen colors; the Linux console inherits text mode colors from CGA, which encodes colors a full byte at a time. 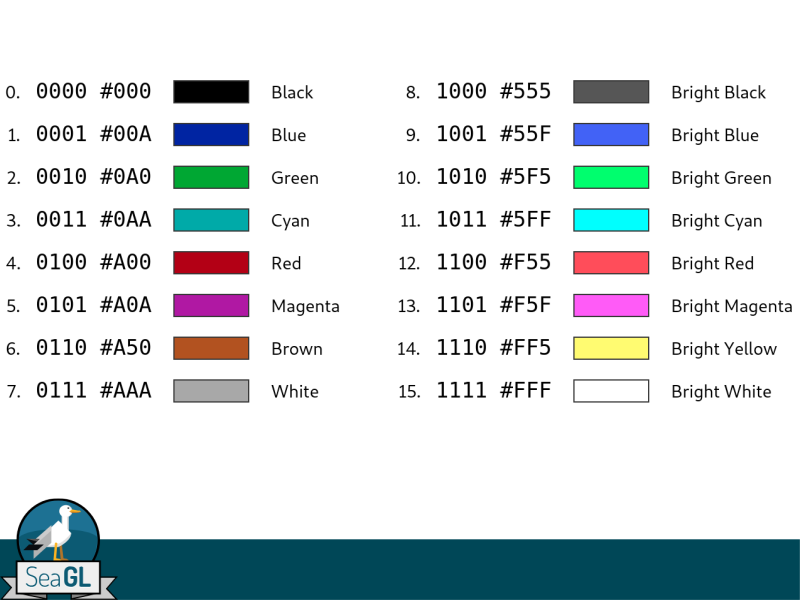 It turns out the rules are the same for other Unix terminals, which also used eight bits to represent colors. But on other terminals, 0110 really was yellow, not orange or brown. I mean, when using framebuffer/drm, Linux doesn't use the graphics card's text rendering but renders them itself, right? Interesting,I hadn't tried that ANSI escape code before. 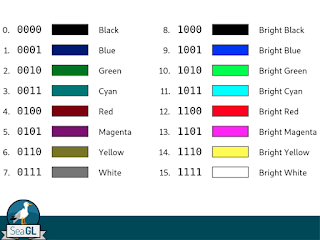 That's 24-bit color, so each RGB color coordinate ranges from 00000000 (0) to 11111111 (256). 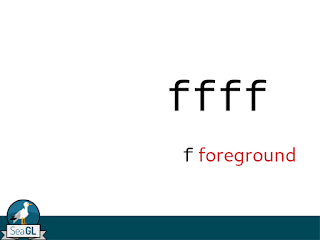 BTW, that's equivalent color to the web color space, because 11111111 (binary) is equivalent to FF (hex). In 24-bit color, DC143C is a strong red ("crimson") and B22222 is a deep red ("firebrick") and 8B0000 is a dark red ("darkred") and FF0000 is a bright red ("red"). 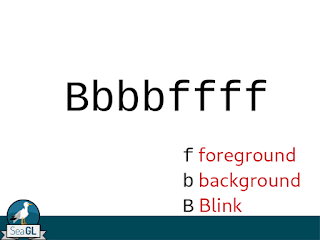 My understanding is when Linux is outputting text directly to the screen, it's not doing anything special. It's letting the hardware do the job of drawing the characters. And that's where the CGA history comes in, because those sixteen colors (Bbbbffff) are defined at the hardware level. 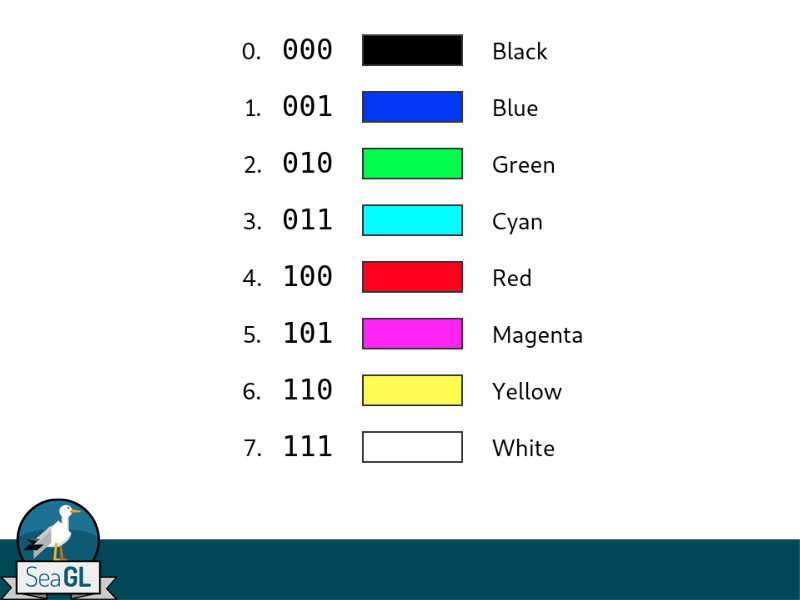 I suppose you could tell your video card or system BIOS (or UEFI) to use a different set of sixteen colors. But at some level, colors in plain text mode (CGA, but VGA is the same) are set using Bbbbffff. 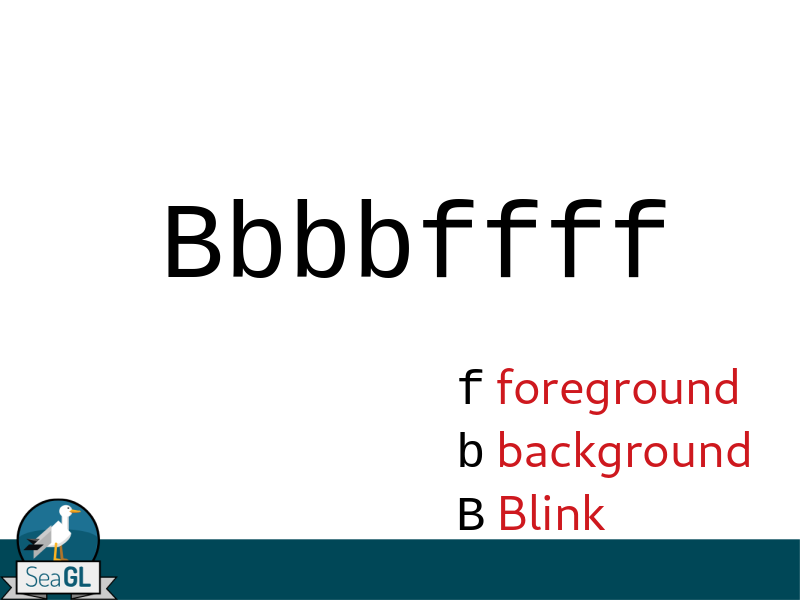 Your terminal in GNOME or KDE doesn't use plain text rendering; it uses the X Window environment. But it still has to emulate the sixteen colors. 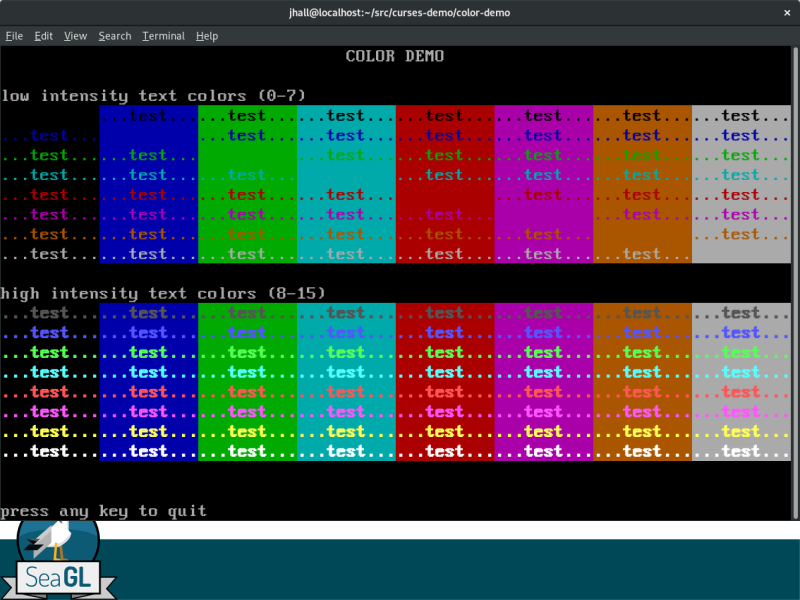 In fact, I had to change the color palette for the sixteen colors in my terminal to make the screenshot on slide 3; otherwise, the screenshot would have used slightly different colors. In GNOME Terminal, go to Preferences, click on the name of your profile (my default was "Unnamed") and click on the Colors tab. 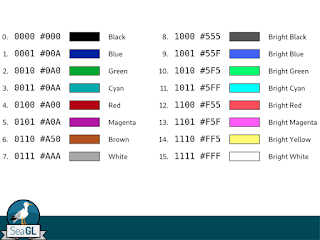 You can set the palette of the sixteen colors here (my default was Tango, which uses a yellow for iRGB=0110). 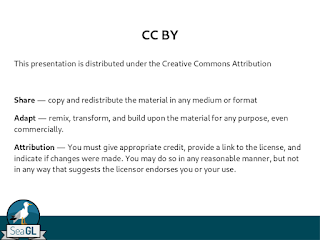 You can tweak the colors, but it's still a sixteen color palette because GNOME Terminal emulates plain text mode (the command line). I have a really vague memory from when the framebuffer came in (around 2.2?) that Linux itself draws the characters. Still, I'm fairly sure that 24 bit colour has not been implemented on fbdev but I see no reason it couldn't be . 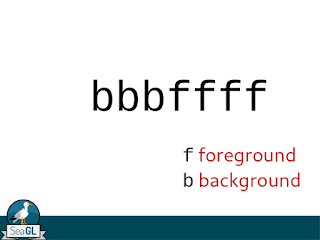 I wonder what a modern equivalent of VGA text mode would look like?